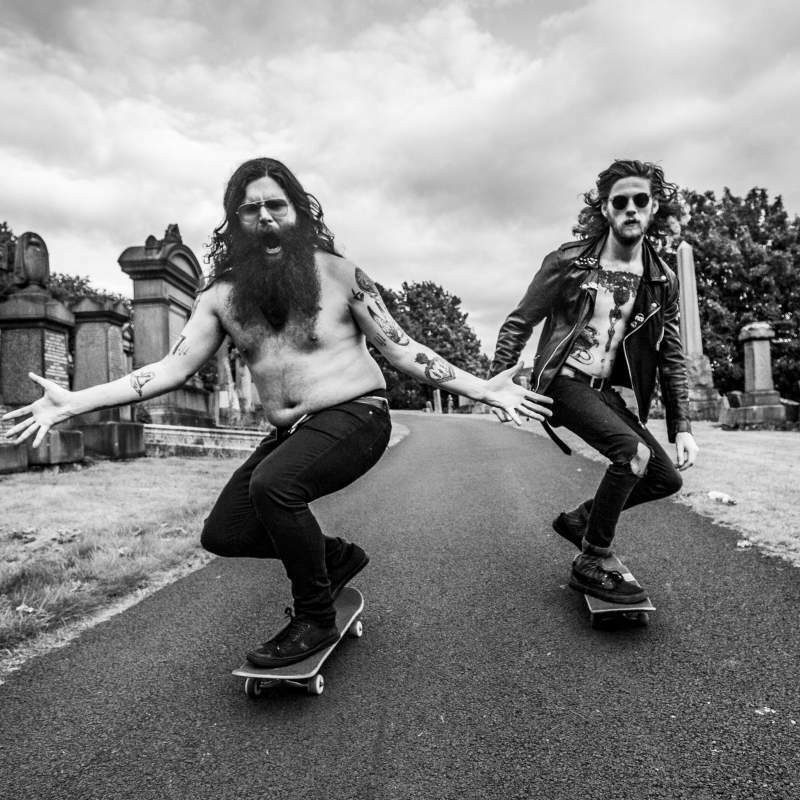 Tearing out of Glasgow in a riot of riffs and ink, Acid Cannibals are on tour to promote their second release, the Horny For Tomorrow EP, out now on the reliably fucked up and fabulous Hominid Sounds label. In keeping with guitarist/singer James T McKay’s reputation as the loveliest (and hairiest) man in noise rock, the new EP is all about PMA (positive mental attitude) – as McKay explains, “we started Acid Cannibals to focus on a positive mental attitude rather than allow us to be eaten by the negativity of the world around us” and that sounds like a splendid approach in these darkening days. McKay is mostly seen in The Cosmic Dead (although he cropped up at The Cluny last month in The Girl Sweat Pleasure Temple Ritual Band) while astonishing drummer Robert Marley is in Droves, and together they make a huge and glorious garage noise racket. Their tour brings them to Newcastle’s Trillians on Sunday 16th December. Support comes from the magnificent Nathalie Stern, and it’s FREE, so like the lead track on the EP says, Life’s Alright.